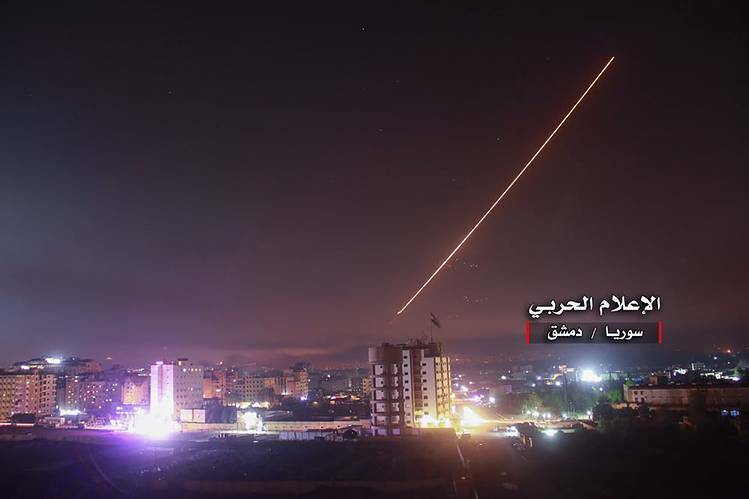 Many in Damascus went on with their daily lives as Israeli launched a retaliatory attack against what it said were Iranian facilities. Ordinary Syrians in Damascus, a government stronghold, went on with their daily lives as Israel this week launched a large-scale retaliatory attack against what it called Iranian military assets in Syria—both defiant and resigned that the violence that has dragged on for seven years won’t end any time soon. As the regime’s war against the rebels winds down, foreign powers including Iran and Israel are seeking to safeguard their interests, risking a wider war that could cause more damage to the country. Many in Damascus appeared to support Iran and expressed hostility to Israel, but some described frustration at how foreign powers have joined a battleground that’s not their own. in recent months escalated its offensive to secure the surrounding areas. Israel has watched with concern as regime backer Iran has deepened its presence, culminating in this week’s attacks, a rare direct confrontation in one of the longest rivalries in the region. The Syrian government claimed its air defense had intercepted “a large number” of the Israeli missiles. Residents were united against what they say is Israeli hostility. “We wanted to cheer and clap but it was late and we did not want to wake the neighbors up,” said Jalal, 50, who was standing on a balcony watching what appeared to be missile traces later in the night. “We are used to them striking us,” said Mr. Jalal, who declined to give his full name. Relations between Syria and Israel have been tense since the 1973 Arab-Israeli War, but have worsened in recent years after Israel launched dozens of strikes against alleged Iranian assets in the country. Many even celebrated the Syrian government’s claim that its forces carried out a rocket attack on Israel, seeing it as a welcome response to Israeli aggression they said had gone unanswered for too long. The Syrian regime has sought to project strength, but its military forces have been drained and it relies heavily on Iran and Russia for support. 18, who works at a clothing store in Damascus’s old city. for insisting that, “We reserve the right to reply,” to Israeli attacks on its soil without actually replying. Most people continued their daily lives as they have while government forces and Islamist militants fight in the nearby Yarmouk suburb. Warplanes traverse the sky daily, though the traffic intensified after the Israeli attacks. Following the attacks, coffee shops were thick with shisha smoke and markets bustled with families shopping for the upcoming Ramadan holy month. Children raced on bicycles in the old city where most of the historic architecture remains intact. decision to withdraw from the multilateral nuclear accord could be a potential trigger for more violent clashes in the Middle East. in Dubai contributed to this article.